A Dexter business owner is offering a newly rehabbed restaurant space in the heart of town at a deep discount: free rent and taxes for a year. As part of a five-year lease, all the tenant must pay for during the first year is utilities. Despite his Facebook post promoting the 2,300-square-foot space, which includes a stainless steel freezer and a brick pizza oven, Frank Spizuoco said he’s had few takers. He also listed the property with Berkshire Hathaway and posted it on Craigslist. “It’s located in a tough area and hasn’t generated a lot of interest,” Spizuoco said. “Dover and Dexter don’t have the draw of Hermon and Hampden,” which are closer to Bangor. Some of the Facebook comments echoed his concerns. “I would love to have a shop there but there just wouldn’t be enough business to offset cost,” one post said. Rent is $1,200 a month after the free period, and Spizuoco has even offered to be flexible on the terms, giving six months’ free rent for a three-year lease. 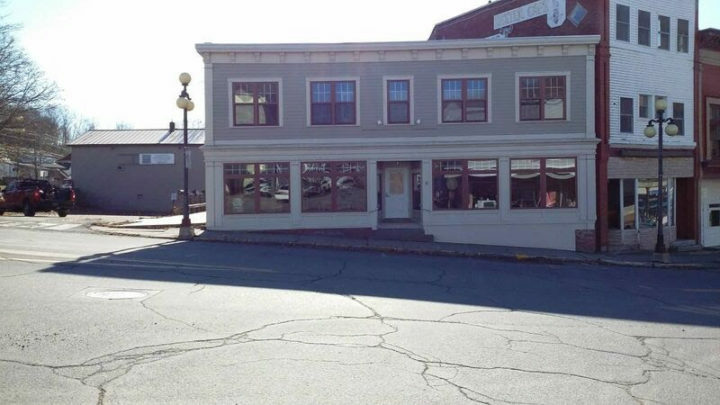 After trying unsuccessfully to lease his property at 4 Main St. in Dexter, owner Frank Spizuoco got creative and is offering one year's free rent with a five year lease to a tenant experienced in the restaurant business. Small towns across the state are using different methods, including essay contests, to attract new businesspeople and rejuvenate empty spaces. 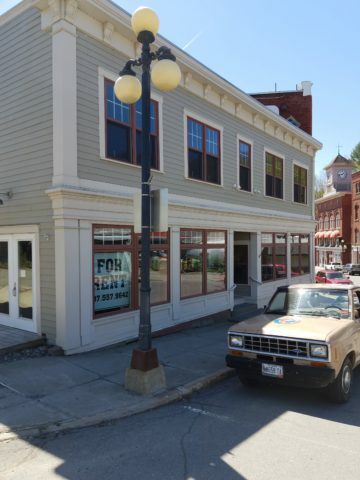 Grappling to attract new businesses and residents is a story repeated in small towns across Maine that are either too remote to attract year-round steady customers or trying to fill empty buildings after losing their major industry. Dexter, a town of about 3,900 people located less than an hour’s drive northwest of Bangor, grew up around five woolen mills. The largest, Abbott Woolen Mill, closed in 1975 after 139 years in business. And Dexter Shoe, founded in 1956 by Harold Alfond, employed more than 800 people at its height. It shut in 2001. “Dexter has been struggling for years to get businesses back into the community after the demise of the shoe factory,” said Elisha Hardy, a real estate agent handling the listing for Berkshire Hathaway. The building at 4 Main St. once housed Fossa’s General Store. The owners closed the store, but gave it to the now-defunct Dexter Development Corp. The initial business that followed, a farm-to-table grocery store, went under quickly, as did the next business in the building, a pizza and sandwich shop. Dexter Development rehabbed the building with new electric, plumbing, Americans with Disabilities Act access, ice cream equipment, an upright freezer and a brick oven four years ago. The space also has a cedar deck that Spizuoco said would suit a brewpub restaurant, plus another 1,000 square feet of space on the second floor for offices. Spizuoco bought it in November 2017 for $78,000, which he said was an undervalued price. His plan was to rent rather than resell it so it could be part of redeveloping the community. Frank Spizuoco is offering one year's free rent with a five year lease on his 4 Main St. property in the heart of Dexter. He wants a tenant with a solid business plan and who is experienced in the restaurant business. She said she’s had a lot of interest, but not a lot of it is qualified. Spizuoco wants a tenant with restaurant experience and a solid business plan. He’s explicit about that in the Facebook video. “If you’re barefoot and you’re wearing pajamas, you do not qualify to apply for this. If you watch more than three episodes of ‘Jerry Springer’ in any one week, you can’t apply. And you’ve got to have a background in the food business,” he said in the video. Virtually all rural towns in Maine are trying to attract business, said Eric Conrad, spokesman for the Maine Municipal Association in Augusta. “There are lots of creative approaches around the state. All are different. What works in Madawaska may not be attractive in Portland,” he said. Essay contests were popular in 2015 to 2016. In April 2015, Janice Sage offered her historic Center Lovell Inn to the winner of an essay contest that cost $125 per submission. Sage had initially won the inn through an essay contest. She aimed to get 7,500 applicants, enough to raise more than $900,000 to cover the property cost and $20,000 in seed money for the new owner. But when she announced the winner, nine people complained that the contest had been unfair. Maine State Police investigated whether the essay contest was legal, and determined it was. In May 2015, a contest to sell the Almost Home Inn in Ogunquit was terminated after the owner didn’t reach her goal of 8,000 essays at $110 each. All the money was refunded. And in January 2016, the owners of Temple Theater in Houlton held an essay contest aiming to get 3,500 entries at $100 each. They didn’t make their goal, but one of the entrants, Houlton native Charles Fortier, bought the theater anyway. He’s no stranger to business, having owned Maine Military supply in Holden for 28 years and purchasing the former Abbott Woolen Mill in 2013. He’s since redeveloped the mill into Millworks LLC, a multi-use commercial property that now houses a shoe manufacturer, adult education and certified nursing assistant classes, offices for independent workers, a hairdresser, a photographer and cold storage.